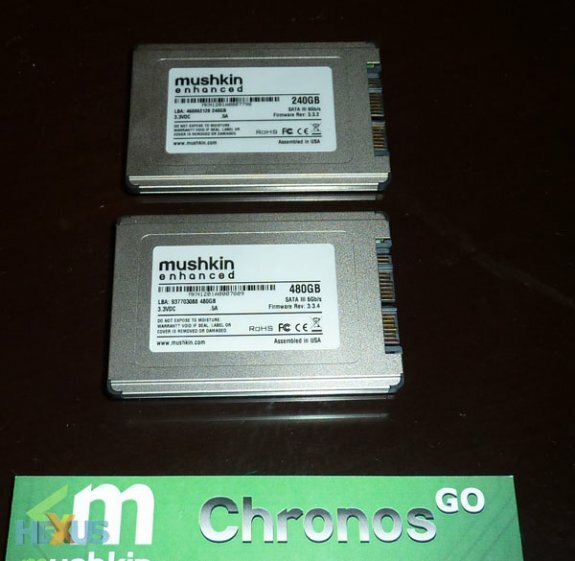 Hexus reports Mushkin is set to release PCIe and mSATA solid state disks based on the SandForce SF-2281 controller, you can learn more about these disks over here. Based on the ever-popular SF-2281 controller, the Chronos Go use a 1.8in form factor, compared to the 2.5in seen on most shipping SSDs. Fitting into the new breed of thinner and lighter notebooks, Mushkin says that performance hasn't been compromised. Available in capacities up to 480GB and in Toggle-mode and regular MLC NAND flavours, representing Deluxe and Standard models, both drives share a common 565MB/s sequential read and 525MB/s sequential write speeds and 90K IOPS. Shrinking the form factor down to mSATA brings us to the Atlas SSDs. These incy-wincy drives are designed to fit into the burgeoning Ultrabooks touted by Intel's cohort of notebook partners. Specifications remain impressive, topping out at 565MB/s sequential read and 535MB/s sequential write, and just like the Chronos duo, are available in Toggle-mode and standard NAND. The premium Toggle-mode NAND performs better when dealing with compressed files, often the Achilles' Heel of SandForce drives, and Mushkin is bringing in the very latest 24nm stuff here..